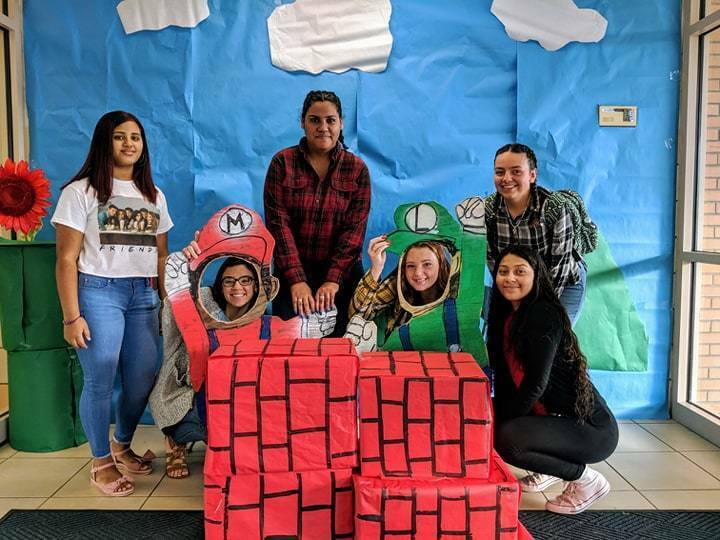 Our students worked hard preparing and decorating for Homecoming which is taking place this Saturday, September 22nd. The theme is Throwback Videogames. Students were having fun together before classes this morning in the awesome photo booth they set up! Please join us this Saturday for our Homecoming Soccer Games that are starting at 9 am at the modified level, JV starts at 1 pm, Varsity at 5 pm, followed by the Alumni Soccer Game at 9 pm. All games are taking place at Bellamy Park! For more details, you can view our athletic calendar by clicking the link below.